The concept of Wellbriety (sobriety/wellness) will be introduced as balance and connection to the natural laws that create healing. Culturally based tools are discussed for ways to heal families. A combination of immense losses and traumatic events that have perpetrated an entire culture need healing as natives across the nation are encouraged to reinstate cultural ways language and sacred traditions. The unfortunate consequences of trauma include not believing you have a future, difficulties within families and a distrust of the outside world, which is passed down throughout each generation. Healing will take place through an application of cultural and spiritual knowledge. Taught culturally appropriate teachings that address concerns about issues that undermine the recovery process, such as intergenerational and historical trauma, dealing with shame and stigma, and solutions in dealing with these issues. Learn culturally appropriate teachings to assist parents, professional and grassroots service providers in developing approaches for treatment, recovery and prevention for adults, youth, and families. Understand the process and steps for systemic community development. 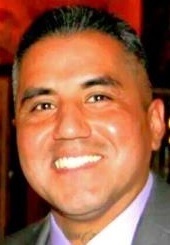 J. Carlos Rivera, CADC III, is the Executive Director at White Bison, Inc. located in Colorado Springs, CO. Rivera is an enrolled tribal member of the Sherwood Valley Band of Pomo Indians. He received his degree in Chemical Dependency Studies at the American River College. He served as a substance use disorder treatment provider for 10 years at the Sacramento Native American Health Center, Inc., providing services to adult men and women on parole, juvenile offenders and other referrals from the Department of Corrections. He continues to make a difference in Native Tribal communities serving as the Executive Director for White Bison, Inc. Rivera is a former committee member of the Juvenile Justice & Delinquency State Committee for California appointed by Governor Jerry Brown.